We had a lovely meeting with a beautiful display of the President’s Challenge Quilts and a very generous donation of the charity quilts. We provided over 70 quilts to Quilts for Kids! I’m also very thankful for everyone who participated in the challenge, as it helped me to fulfill the final requirement of the NACQJ. 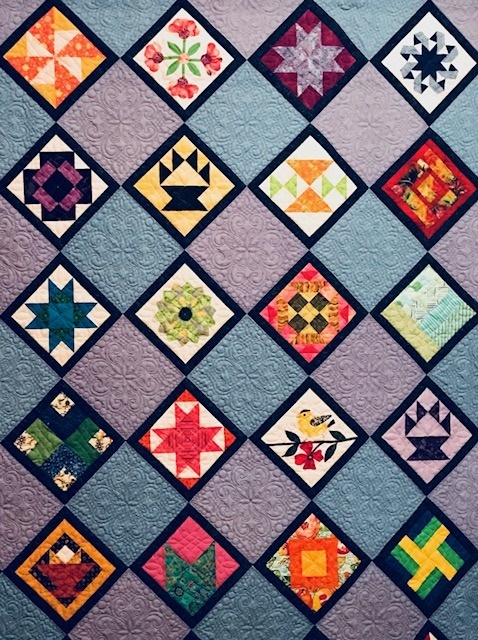 I’m currently enrolled in the National Association Certified Quilt Judging program thanks to the guild and it’s wonderful members.